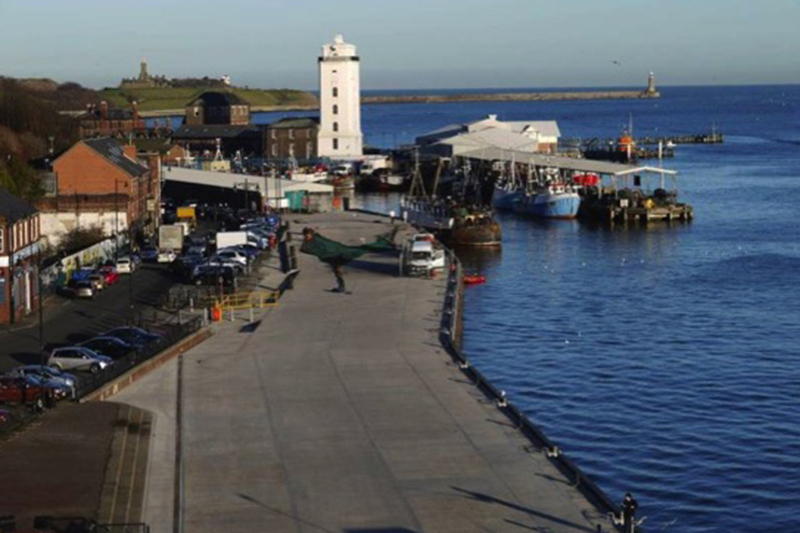 The Ports and Harbours team from our Newcastle office provided design services for the refurbishment of the existing dilapidated fish quay in North Shields, Tyne & Wear. We worked in conjunction with local Contractor (Southbay Civil Engineering) to submit an alternative design for this 300m length of public quay situated at the mouth of the River Tyne. Our involvement led to a reduction in the tendered sum and allowed the contractor to offer a guaranteed maximum price of £5.5m for the scheme. This alternative tender was accepted by the Clients. Our innovative design involved driving 190 steel piles through the existing dilapidated quay and constructing a new concrete deck slab above. This design provided improved berthing, mooring and refuelling facilities for the local fishing community. A cathodic protection system was also designed to protect the new structure. The high level of detail and planning which was provided prior to the start of the contract, meant that all the main work items were reviewed and simplified to give certainty of duration. The project was completed on time and to budget, within 52 weeks. Both the end Client and Contractor were pleased with the completed quay which is used by both the fishing fleet and general public demonstrating its role in regeneration of the area. Only by the contractor and the designer working closely together throughout the contract was it possible to offer such a good technical solution, competitive price and successful delivery.